This year marks our 25th Anniversary! 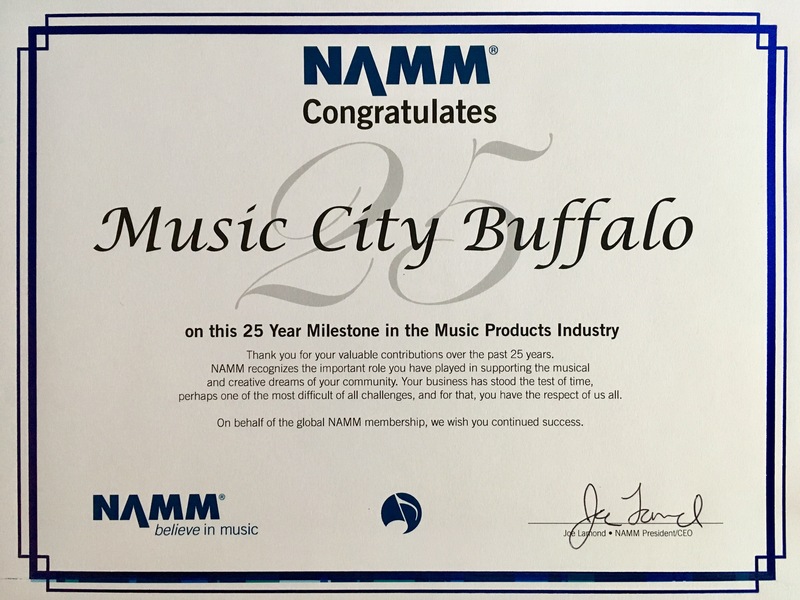 What better way to celebrate than with a trip to the NAMM Show in Anaheim California! Yup, that’s John Mayer playing alongside Ed Sheeran, Questlove, and Herbie Hancock to Ed Sheerans “Thinking Out Loud” with…a hot pink Jackson Soloist?! Wait, what? But why? Why??? WHY, JOHN?! WHYYYYYYYYY?!?!? !…we’re just kidding. It’s a great guitar and it sounded pretty damn cool. Yeah, we know what you mean, John …. . Does this mean you’re now a Jackson artist? Or are you just testing the waters? Doesn’t Fender still own Jackson?!? Oh no! If that’s the case, you may need to go with a different brand…perhaps Godin? or G&L?!! Now THAT would be interesting! Frankly, it doesn’t matter what he plays. Give the guy a 3-string cigar box with a warped neck and he’ll make it sing! On to our next favorite performance/guitar…. Considering we LOVE Gretsch here at Music City, we couldn’t help but get all amped up (pun intended) when we saw Hozier rocking out to his hit “Take Me to Church” with a glittery Gretsch G5265 Jet Baritone. Great choice, killer tone, amazing song! And then Annie Lennox emerged from a dusky stage-left and a colossal explosion of greatness followed!! She literally took us to church when she performed the timeless Screamin’ Jay Hawkins blues classic “I Put a Spell on You” while fiercely (very fiercely!!) pointing her finger, stomping her feet, and tearing it up on her air trumpet….but we digress. It was the perfect guitar for the performance! Happy New Year everyone!! So much to look forward to . We ended 2014 on a good note, with Electro-Harmonix retweeting our Big Muff product demo! We’re now in the process of making 2015 even more exciting! We’ll be posting some new upcoming events and specials very soon! Stay tuned! Here are some ideas that every guitatist can use and appreciate this holiday! Strings, strings, and more strings!! Between them breaking, rusting, and just getting icky in general, every guitarist will appreciate a fresh set of quality strings. One of our best sellers this year are Cleartone’s premium coated strings, starting at $12.99. You can also stuff a classic pair of D’Addario strings into his/her stocking! These excellent and reliable strings start at just $5.99. Not a guitarist? I bet they play Ukulele! Premium Aquila Ukelele strings made in Italy starting at just $7.99! 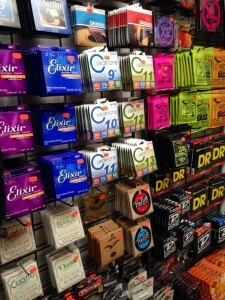 We also carry strings for Violin, Cuatro, Mandolin, Banjo…you name it! You can never go wrong with strings! To help maintain optimum playability, it’s important to frequently wipe down, polish, and condition. 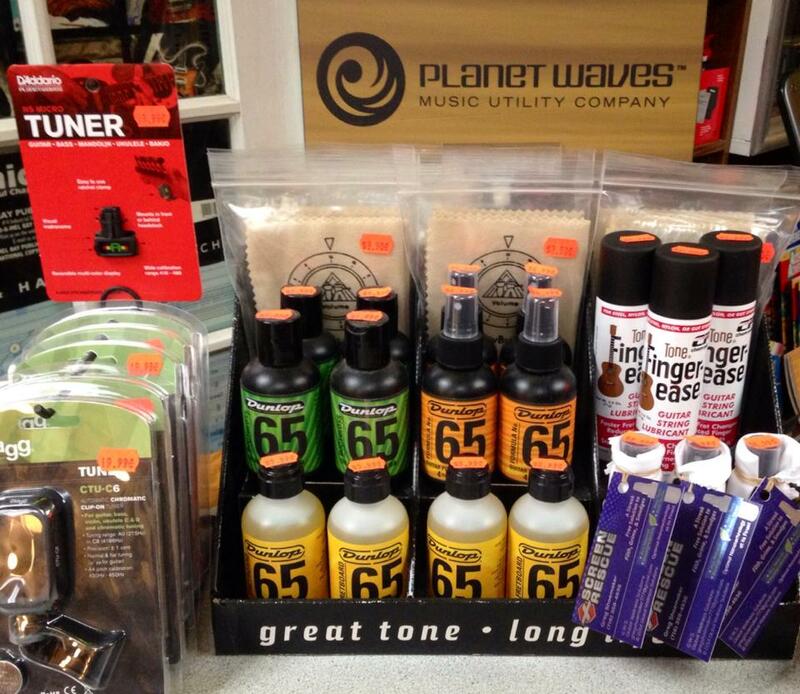 D’Addario offers an assortment of solutions starting at $6.99, from lemon oil to conditioner. A good quality polish cloth is a must have! Our exclusive Music City polish cloths are only $3.50. 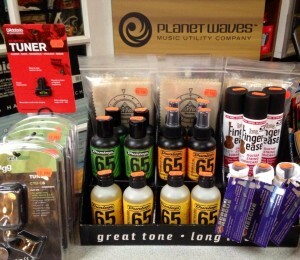 One of this years best sellers have been clip-on tuners! D’Addario offers a clip-on tuner that is discretely hidden behind the head stock. This nifty little gadget is only $19.99. If you’re looking for a bigger clip-on tuner, Stagg offers a durable clip-on with a larger display, also just $19.99! 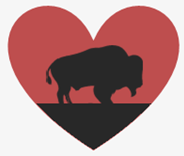 We are proud to be a part of the small business community in Buffalo, NY, and strive to contribute as much as we can to our University Heights neighborhood. Be sure to stop by our store and other great local businesses for Small Business Saturday, November 29, 2014. We’ll be offering discounts, specials, and maybe even a few hugs (it’s the holidays after all!) 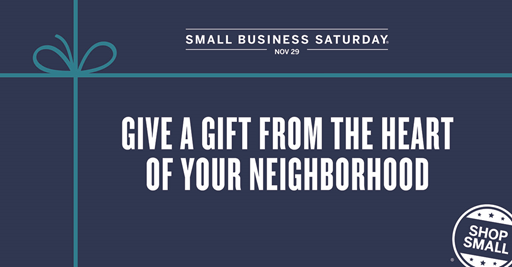 Shop small, save big, and help build a better neighborhood this Holiday Season! Happy Holidays!